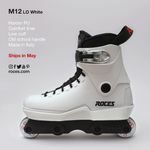 Just making a small round with inline skates is not enough for everyone - the next step is Aggressive Skates, which you will also find at Grindhouse in our online shop. 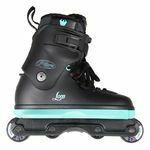 Apart from ideal training grounds and a lot of courage, body control, and training, the right shoes are a basic requirement for you to skate with your Aggressive Skates. With us, you can find models from all major manufacturers such as SEBA, USD, RAZORS, VALO, and REMZ. A particularly recommendable model is the Razors GEnesys, which features terrific rolling and fit snugly to your feet. With these shoes, everyone becomes a real pro! In Grindhouse you'll find a wide selection of shoes which will make skating a real pleasure. Models like the Razors Genesys or shoes from SEBA, USD, Razors, REMZ and VALO are available in different colors and in all standard sizes. 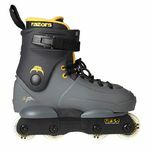 Just take a look around in our catalog, and we are sure that you will find Aggressive Skates that match you perfectly!